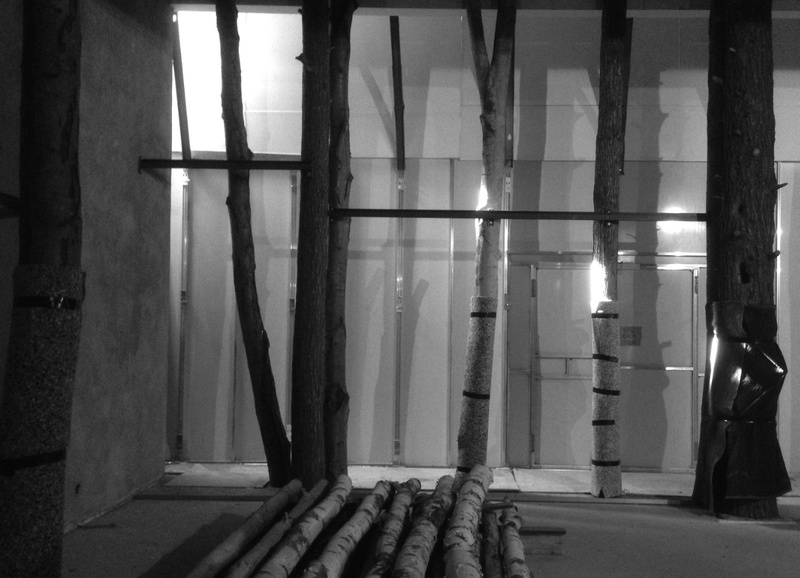 Can a Construction Administration Guy Ever Really Enjoy the Forest and Not Just the Trees? I often wonder what it would be like to work in an environment where when you leave at the end of the day you never have to think about ‘work’ until the next day. As a designer with a specialty in construction observation, I find myself never being able to turn it off. My visit last year to Barcelona, is a case in point. 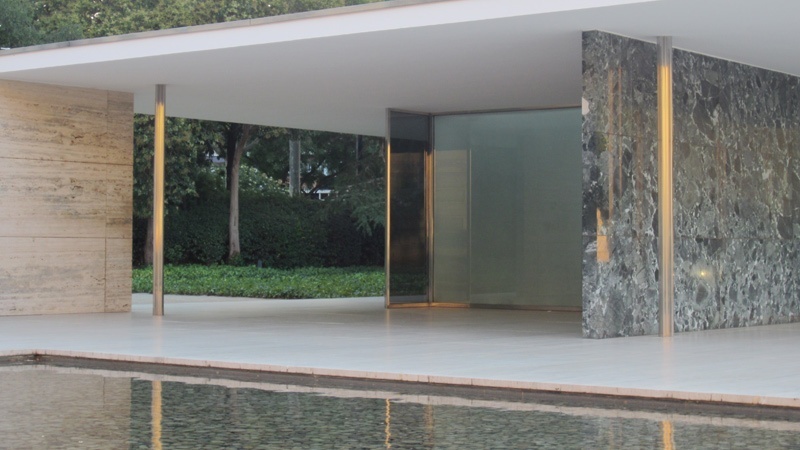 Not content to simply absorb the power of the Pavelló Mies van der Rohe, my eye was immediately drawn to every detail. Mind you, we all look at the details to admire how the various design elements come together, especially when visiting an iconic structure, but my eye was drawn to things like a dented piece of trim and a missing screw in a window stop and irregular joints in the stone paving slabs. Thoughts of solutions for maintaining the joint alignment started flowing through my head. Certainly the average visitor would likely not notice these things and come away from the site with a totally different experience, the one that Mies originally intended. As chief cook and bottle washer at Pirie Associates, part of my job is to draw out the best work from our team members. To me this means recognizing and supporting each person’s natural traits and interests and building a team that combines the best of each to make a whole that is greater than the sum of the parts. To achieve this, I use a lot of the skills that we as a firm also use with our clients, including deep listening, clear observation, peeling back layers to separate ideas from solutions, and re-framing goals and objectives. Two of these skills, deep listening and observation, include not only what is said, but what each collaborator does. Words can describe aspirations, but actions demonstrate innate talents and resources. I really enjoy Paul’s blog about his natural ability to see even the smallest detail – and the challenges that come along with his gift! Paul’s sensitive and strategic detail-vision, which is an essential part of our work as it is being built, leads to the high-quality design solutions to which we aspire. Many people think an architect’s work is complete when the documents are done. This is not the case: the documents architects produce are a road map, in fine detail, of the design intentions of a project. Many, many solutions must and can only be resolved as a project is being built. This is why it is so important to have the architect on site during construction. Each project is an opportunity to create a new recipe of talents and circumstances to take what we (and our clients) do to the next level. It’s a magical way to collaborate and make environments that inspire, engage, and invite us all to grow. Is reconstruction a valid form of preservation? 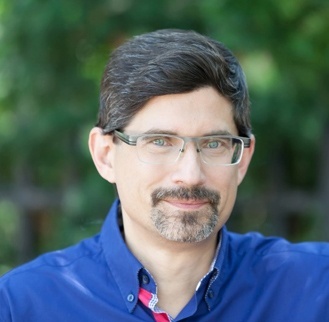 Paul S. Butkus, ASLA, has more than 20 years of experience in the fields of landscape and architectural design. His work spans many scales, complexities and continents, ranging from residential backyards to performing arts centers, museums, university campuses, urban parks, and waterfront developments. As an Associate in the firm, Paul brings his diversified experience to all levels of project development.